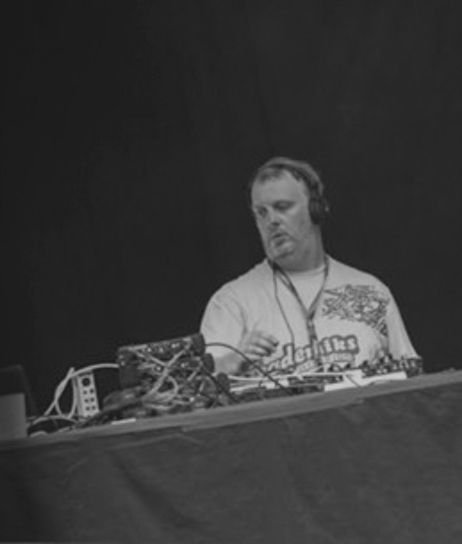 Mark Ellison is certainly no stranger to the underground music scene having been involved in the industry for over in various capacities for over 25 years. His long journey starting back in the late 80's as a punter on the dancefloor during the early acid house raves and warehouse scene across the north of England. An accomplished Dj since the early 1990's he has played at countless venues, club events and festivals across the UK and overseas, with headline sets at Pacha and Egg (London), Bora Bora (Tunisia), Elektrojaia Festival (Spain) his infamous set in the pouring rain at Todstock festival in 2010 amongst his personal favourites. Radio has also played a big part for Mark making regular guest appearances on the airwaves with likes of Galaxy FM, Key103 and Kiss, then in the late 90's launching his own Sunday night show on Pulse Radio running weekly for over 6 years. The summer of 2007 brought a major milestone for Mark with the launch of Revolucion Records, now found spending his days hard at work as label manager and head of the A&R department, overseeing the a team of like minded individuals in their quest for finding music for the dancefloor. His first real venture into the studio coming in 2016 with Revolucion Records debut mix compilation copiled and mixed along with his good friend Javier Ganuza. With further studio session's on the agenda the future is looking bright indeed.